The Air District is issuing a smoke advisory today due to the Butte County fire that developed a week ago. 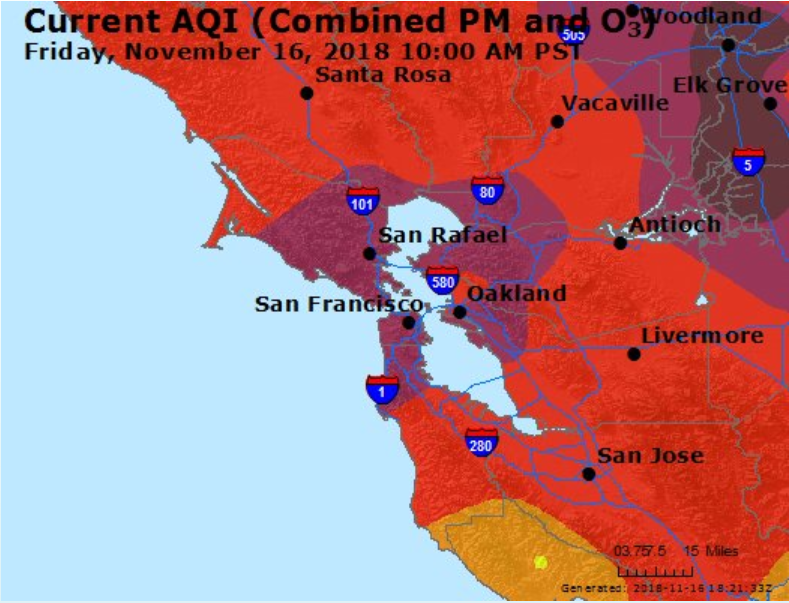 Heavy smoke from this wildfire in the North Bay counties is causing very unhealthy air quality throughout the region and is not expected to improve for several days. .
Join the Wildfire Advisory Committee!